Now accepting applications for our 300-Hour YTT Program! 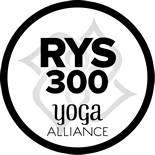 The dimitraYOGA 300 Hour Advanced Yoga Teacher Training explores the depths of the 8-Limbed Practice of Yoga and developing the skills of a teacher as a leader in the community. It is designed to take your practice and teaching to new levels of effectiveness and power. The training is offered in modules. Each module is experiential, hands-on, in-depth, and emphasizes new techniques to add to your teaching repertoire. Modern science in biomechanics and therapeutics will be blended with the ancient wisdom and practices of yoga. Students will gain direct experience with the material and explore the deeper dimensions of what it means to be a teacher and to serve as leaders and teachers of teachers in the community. Upon completion of the training, teachers will have the skills to teach group classes, privates, workshops, and trainings that are therapeutic, artfully sequenced, full of expertise on the body and healing, and that move people to find their optimal state of wellness in body, mind, and spirit. Of course, you can always take just one or two modules that interest you without needing to complete the entire training. Continuing education credits will be offered for those not seeking full certification. Each module is pay per module and there is no time limit for completing the modules. Each module will also include out of training assignments that will be turned in for final certification. Our 300 Hour Advanced Yoga Teacher Training is an integrative and innovative program that combines the latest research on anatomy and physiology as it relates to yoga interventions, teaching methodology, Eastern philosophy, and in-depth training in yoga styles beyond vinyasa flow. The program is lead and developed by Dimitra Kotanides, a yoga student and teacher for almost two decades now. Most modules will also have a guest teacher who will share with us their expertise in that specific subject. The curriculum is presented in a module format: allowing participants to customize their program of study in areas they wish to cultivate further. There is no beginning or end date and the training is meant to be taken over time, so that teachers can incorporate information into their teaching. There is no time restriction to complete the program. Modules include: Yin Yoga, Restorative Yoga, Sequencing, Yoga for Healthy Aging, Myofascial Release, Yoga for Athletes, Subtle Body Studies (Chakras, Meridians, Koshas), Mobility and Stability of the Hips, Shoulders, and Spine, Yoga Adjustments, and Pranayama, Mantra & Meditation. Modules are presented over a long weekend format at our studio in Lewes, Delaware, with homework and assignments to combine to 25 – 50 hours each module. 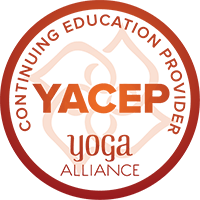 Module content is presented in a way to deepen participants’ understanding and learn the tools to think for themselves and problem-solve in a way that supports others through the practice of yoga. A digital manual will be supplied for each module. Tuition is $575 per 25 hour weekend module / $1150 for double weekend 50 hour modules. Once your application is approved, you can sign up for modules. Each module is priced separately. 50% payment is due upon enrollment for each module. 50% balance is due four weeks prior to module start date. Payments are non-refundable & non-transferable. We will look at these more contemplative practices and the science behind how they can be used more therapeutically. Self myofascial release is becoming a complement to yoga as its an effective tool for reducing pain and enhancing range of motion. Dimitra will give you a deeper look at the anatomy and biomechanics of the hip joint as a basis for understanding its function. This module will focus on how a yoga practice can address the 3 pillars of healthy aging. If you are ready to sign up (and for any other questions), email us at events@dimitraYOGA.com and we will send you the Teacher Training Application. Application must be approved + 50% deposit paid (for each module) in order to enroll. Space is limited to 15 participants, so we recommend pre-registration to hold your space for future modules.